The new Nissan Leaf featuring a 62 kWh battery, has approximately 40 km more range in the basic version, than in premium trims due to the higher weight of the more luxurious models. Meanwhile, Nissan also updated their US strategy with regards to rapidgate. Modesty pays it appears as the latest CARB report concludes that the basic version of the 2019 Nissan Leaf with a new larger battery is about 33 kg lighter than the higher trims, thus leading to a range of 585 km (364 miles). 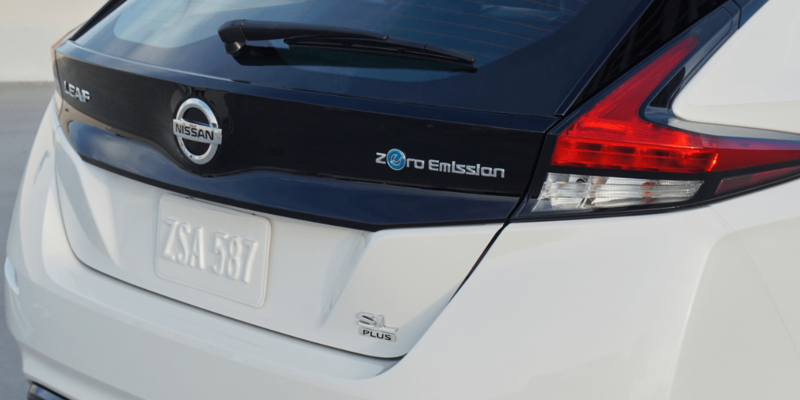 While the Californian authority tests the range of electric cars using the Urban Dynamometer Driving Schedule (UDDS), the national EPA has not made its official ruling of the latest Leaf model yet, so the numbers are preliminary at this point. However, as a rule of thumb you can expect the EPA range rating to be around 70% of that specified by the UDDS, so that would result in a range of about 410 km (225 miles) for the basic version of the Leaf, while the more equipped electric vehicles will go about 370 km (230 miles). So much for the long-range models but there is also the basic version using the standard 40 kWh battery. While Nissan does not offer liquid cooling for any power packs, the 40 kWh version was plagued by issues with thermal management when being fast-charged in quick succession (#rapidgate) last year. Nissan reacted by developing a software update to deal with the issue without having to add hardware reportedly. While the update is currently offered in Europe, Nissan will not approach Nissan Leaf drivers in the US, according to a report by CleanFleet. Nissan PR man Jeff Wandell further clarified that there is no update available in the States because customers had complaint less or did not experience issues with rapid charging. It remains to be seen whether the software will have the desired effect, particularly for the long-range version of the Nissan Leaf electric car as older versions already include the update. At the same time, Nissan has announced that their software update to deal with the “rapidgate” charging issues, where HPC’s showed significant drop in charging speeds after multiple uses, will not be rolled out in the USA. The reason for this is simply that US American customers apparently don’t use the feature as much as Europeans: “…the vast majority of our US customers don’t use multiple fast charging procedures in any single day, so they are not affected by the charging safeguard feature on the new LEAF.” The statement then adds the provision “LEAF customers who expect to consistently use fast charging procedures more than twice per day for extended distance driving, we would suggest they contact their local Nissan dealership for advice on how to get the best out of their LEAF under these exceptional driving scenarios,” for US American long distance EV drivers. The issue mainly has been found with multiple high speed charging processes in the same day, which does not affect most drivers, however the issue does not shine a positive light on EV charging as a matter of convenience. Newly produced versions of the vehicles will generally feature the software update, which helps regulate the cooling process in the battery during charging. I drove my wife’s 2018 LEAF model to work today for fun instead of my 2012. I turned on the cruise control and it started driving itself. Cool, I never had used the autopilot thingy before. I thought you had to activate it somehow special. I also noticed it was following the car in front of me at an equal distance. I guess she had it set up to do that. Anyways, families all over the world will love these cars, just make sure it has more than twice your daily commute mileage. You need extra mileage for AC, heat, and extra errands. And a warning about autopilot and self driving cars. They do not avoid those craters in the road that will bend your rims. We have some really bad roads where I live. If you know of a bump be sure to take over control.